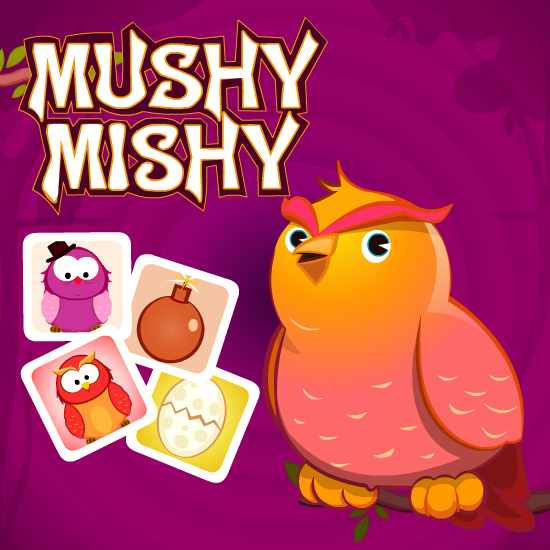 Mushy Mishy is a flash sliding puzzle game. Try to score as much as possible and last as long as possible. If you have kept at least half of the grid empty when the timer runs out, you can advance level. Align three or more blocks to pop them. Click the arrow keys on the blocks to move them in that direction. Blocks will be added each time you make move. Egg blocks when matched helps you skip addition of blocks for one turn. Poison blocks pop random blocks from the grid. Bomb blocks removes blocks around them too when matched.